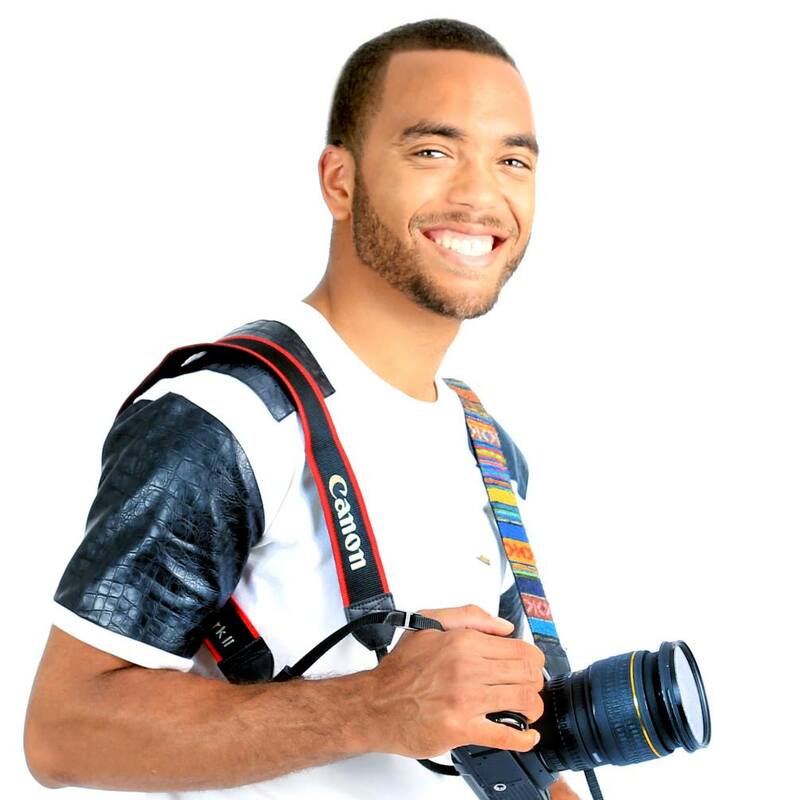 Today, I spoke with Javier McIntosh of Atlanta, Georgia who is a photographer, cinematographer, actor, director and owner of McIntosh Bros which is a full service production company. We spoke about his upcoming pilot he directed along with his love of reading business books and his love of photography. He also told me about his first short he ever filmed, and it reminded of how far filming has come just within the last few years. He's really into learning and growing in his craft of his work. I may have forgotten to mention that he's also a stand-up comedian as well. He's done stand-up since high school and the last two years he's fine tuning his comedy routine by performing in some venues in the Atlanta area. He would love to work with the awesome director Stephen Spielberg one day and an amazing director Hannah Lux Davis as well,. He even mention that he would like to work with The Daniels who directed "Turn Down for What" by Little John. Maria- Where are you from, and where did you grow up? Javier- I was born in Champagne, Illinois, but I grew up in Atlanta area since the age of five. Maria- How long have you been a photographer? Maria- What do you love about photography? Javier- One of my favorite things is event photography where there's a social gathering, and you capture the essence and energy of the event whether it is a wedding or an advertising event. You get to be a part of it, and bring out the joy from those who are there. They (those who are at the event) trust the photographer to capture their moment of joy on camera. Maria- I notice on Twitter sometimes that you share a book that you reading. What's one book or author that you like to read? Javier- I read a lot of business books. Malcolm Gladwell is one author whose books I enjoy. He wrote "Tipping Point." One of the quotes from his book is: "Achieve mastery in anything you do. It takes practice and time." I believe everyone needs to continue to strive to be better. I'm always wanting to do more and to learn more about my craft whether it's reading a book like "Tipping Point" or hiring a coach for my comedy. Maria- I know you're a cinematographer as well. What was the first film you filmed? Javier- Well, the first one was when I was in early middle school. It was a short around five minutes of action and dancing. It was with my brother and cousins. I shot it, and then it was put on VHS tape. I also edited on the VCR. Maria- Filming has come a long ways since then. How many videos and films have you filmed so far in your career? Javier- I'll have to say around 200 or more. I sometimes do a few a week. Maria- Tell me about the short "Seven" that you made. Javier- Here's the tagline or brief description: life of a guy from 7AM-7AM (24 hour day) of working the American life. It won top 5 in the Campus Movie Festival, and it was screened at Cannes Film Festival as well. Maria- Do you have a favorite film project that you're working on? Javier- Yes! I'm excited about "Make Time For Love" which is a pilot that I just shot and directed. J. Carter wrote the script, and McIntosh Bros co-produced and edited it. Angela Intindola was project manager for the pilot. It's a dramedy about a woman who owns a law firm, and she works all the time. She's had her share of relationship problems, and she doesn't want to make time for love. Maria- I think many women and men will be able to relate to that. Javier- Yes, that's what I think as well. Maria- Who are some of the actors in the film? Javier-Brad James from Tyler Perry shows, Africa who's been in a reality show, and Carl Payne who was in the show "Martin" from a few years back. Maria- What have you acted in and any more plans to act? Javier- I've been in the film "Bridal Veil." Right now, it's touring the festivals. I do act a good bit. I usually make a cameo appearance in my films. Maria- You're also a part of "Phoenix4Productions." What is it exactly that you do with this company? Javier- It's a partnership with Fred and Octavio. We do a lot of stuff together. They helped with production of the pilot. They hired me to be the cinematographer for the movie "Breathe." Javier- My Mom is definitely one of my biggest supporters and my Dad. He told us years ago to start a business which we did, and he always been supportive. Angela Intindola is also a wonderful supporter. She believes in my company, helps with social media and my comedy shows. Maria- I always like to share a quote with my readers. What's something that motivates you? Javier- "Don't stop learning." What keeps me going is that I know with every struggle or every obstacle, I become stronger. I also know that learning and doing something every day will get me closer to my destination, my destiny. I really liked what he said at the end: "Don't stop learning." Each step in our path that has us growing whether it's through a struggle or pursuing our dreams, it will get us closer to where we are meant to be. Below are his social links for Twitter, Instagram and Facebook. Please follow him and thank you for reading.